Welcome to Fil Fest USA!! 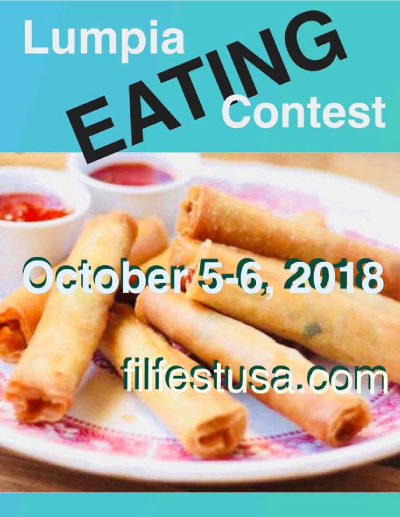 Do you love lumpia? Can you eat a handful of them at a time? 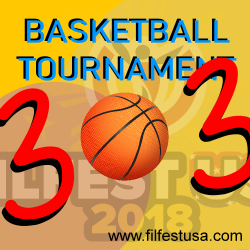 Come join us at FilFEST USA and compete to see if you have what it takes!! Fil Fest 2017 was a memorable time. Although we suffered from on and off sprinkles from Mother Nature, the energy overcame all obstacles. Our theme last year was "Celebrating Heroes". We show cased some of our original entrepreneurs which included, but not limited to, Francisco and Honoria Frias, Conrado and Erlinda Mendoza, and Conrado B. Dabu. Special thanks to "Waterside District" for hosting a fantastic festival. 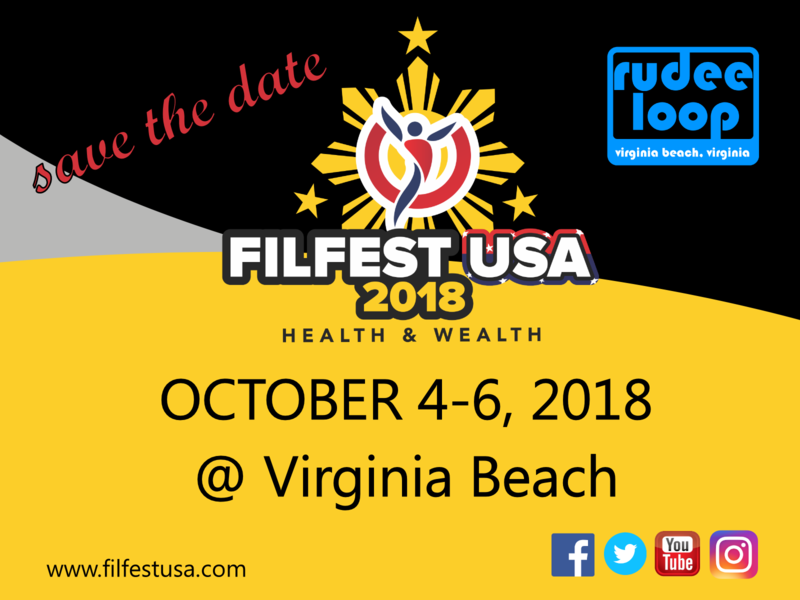 Fil FEST USA 2018 is kicking off with a golf tournament! Our agenda has more information. 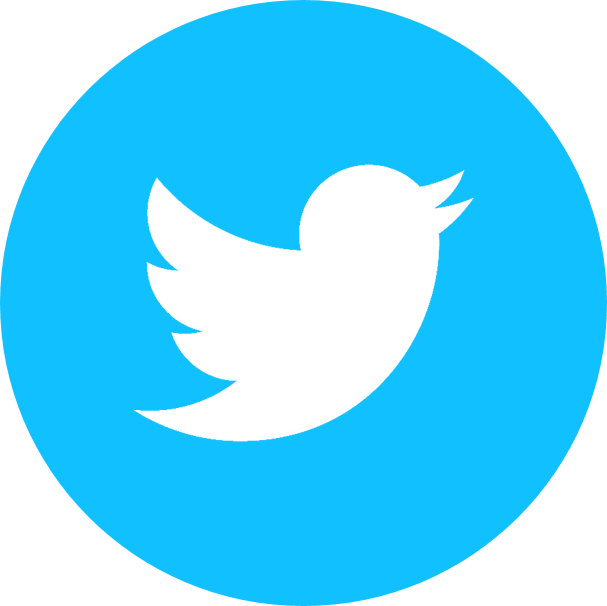 What's happening in 2018? Well I am glad you asked. This year's theme is "Health and Wealth". We will be show casing some of our biggest health and fitness gyms in the area. Stay tuned to find out who. This leads to our next big event which is the "Fil Fest Games". The selected gyms will help us coordinate a tournament on the beaches of Virginia Beach. See which team will be the 1st Fil Fest Warriors. During our event, we want to help you with your wealth. The top finance companies will prepare life changing packages and help educate you on your road to wealth. So come join us at Rudee Loop on Saturday, October 6th, 2018. Watch the movie “Seven Sundays” at Fil Fest 2018 for FREE! Food, Family, and Fun at FilFest! Click here for more information about our Games! If you are ready to pump it up, sweat it out, and crank it up, join us at FilFEST 2018 at 12pm! Click here to find out how to register, qualifications, and PRIZES! Fil Fest presents the Tinikling Challenge at Rudee Loop. Let's break the World Record of most tinikling dancers at one time. Click here to read more about this event and how to register. Help us help you! Halo Halo Na! is the official magazine for FilFEST USA celebrating and inspiring next generation of Filipino Americans. 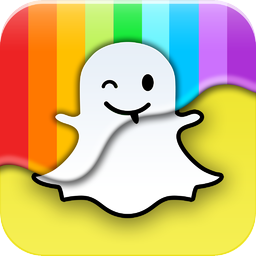 To purchase ad space, click here to purchase them on line. Read the article titled 11 US Cities that Feel Like International Destinations and find out how this event has changed the outlook of Virginia Beach! 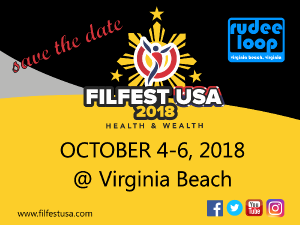 Rudee Loop of Virginia Beach is thrilled to host Fil Fest 2018. This event is brought to Rudee Loop by Beach Events and the City of Virginia Beach. Read more about our local vendors.